Hey, Mr. Postman! Is that a letter for me you have in your bag? Yes it is! And it's not just any letter either. 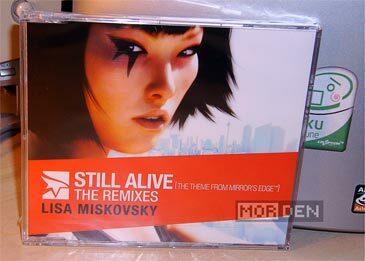 It's in fact the maxi single CD from Mirror's Edge - Still Alive: The Remixes. The CD premiered in Sweden just yesterday so I was surprised to get it so soon, but then again I did pre-order it. The shop I bought it from is one that I frequently visit and few weeks back they were nice enough to e-mail me a gift certificate for 50 Swedish kronas. 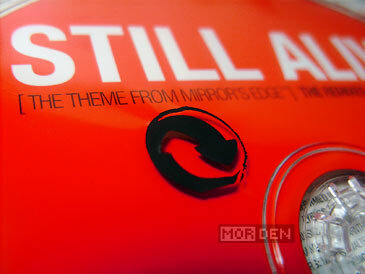 And what way to spend them if not on the then upcoming Lisa Miskovsky's Still Alive single, which costs 49 kronas? I didn't think twice and I pre-ordered it paying just a local shipping fee. I wanted to get this long before the CD became available for purchase, and after listening to some of the tracks on the official remixes page, I was hooked. I like Lisa Miskovsky, mainly because of Kent's Joakim Berg who is a fantastic writer and who writes and produces most of her songs. Berg wasn't involved in this project, but having Arnthor Birgisson and Rami Yacoub from Maratone on board is nothing to complain about. What we get on the CD are seven tracks. Radio edit of The Theme from Mirror's Edge and subsequently six of its remixes by known DJs and / or producers. Benny Benassi, Paul Van Dyk, Armand Van Helden, Junkie XL and Teddybears are all here to have their way with the original track. Aditionally, Benny Benassi's mix is featured in two versions, a full length track and a radio edit. Do the mixes deliver? Some of them do, but if you haven't heard any of them yet, don't expect much from Paul Van Dyk. 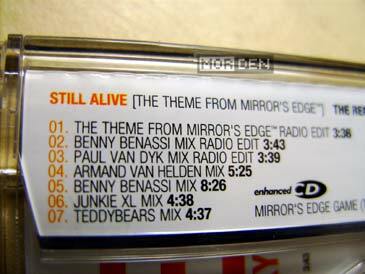 Probably best known from the bunch, Mr. Dyk treats us to a fairly generic track with a typical club beat and arbitrary clips from “Still Alive” thrown in. For some reason, his track reminds me of Rendez-Vous 98 mix Apollo 440 did on Jarre's "Odyssey Through O2", only it's not nearly as good. Remixes that I personally liked the most are those produced by Junkie XL and Teddybears. Both of these artist took a slightly mellower approach, making their tracks into a pair of very melodic compositions which you can really listen to and enjoy. Not being straightforward club tracks, these remixes really stand out from the bunch. 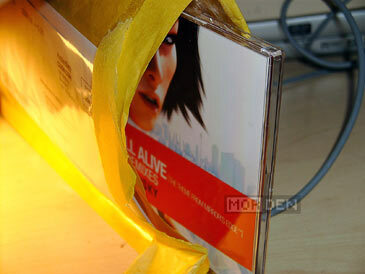 Besides music, the CD holds one more surprise - a high resolution trailer from Mirror's Edge. Just pop the CD into your PC and you'll be able to enjoy a high quality 1280x720 QuickTime video with equally high in quality AAC audio. If you hold a grudge against Apple, you can always ignore the *.mov file from the disc and click on the thumbnail above to watch the trailer online on Nico Nico Douga. 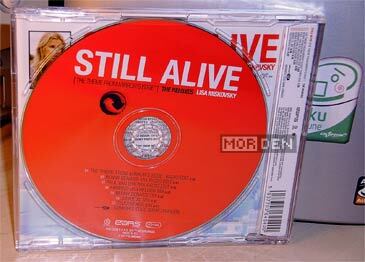 I have also uploaded the radio edit of "Still Alive" and made it into a neat video. If you want to check it out, just click the box above and again, you'll be taken to Nico Nico. And what's the final verdict for the CD? I'd say buy it. It's a maxi single so it's cheap. I haven't heard anything about a standalone game soundtrack yet, so you might want to get this if only to enjoy the theme song in CD quality. A small update - I found a high quality original video for Still Alive and thought I'd upload it, but someone did the job for me, so here it is. 2008.11.21 Fri Music ♪ Comment Tweet This!